Really……. there are no words……. 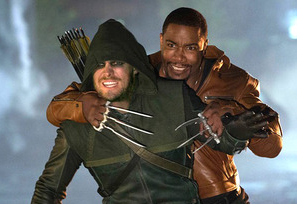 New Bronze Tiger shot straight from Arrow! Mortal Kombat Web series- Subzero & a fight! He would’ve made a great Black Panther! I was hoping that he would wear the mask or some other kind of mutation or face paint. lol well in real life there isn’t a Batman yet that can hang with him and as for Black Panther Nah to big.